We have all heard of a popular saying that free cheese exists only in a mouse trap. Same holds true for cheap gold coins. With the spot price of gold having reached sky high levels of unprecedented proportions, buying cheap gold coins is not realistic at this point unless there’s a catch or a trap for gold investors and collectors. However, with the stock market uncertainty many investors are trying to quickly recover their losses and reinvest in alternative areas like precious metals market. Unfortunately, high investor interest in gold bullion coins creates a perfect environment for various gold and silver coin scams. 1. 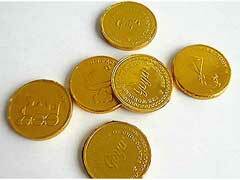 Fake gold coins. If your cheap gold coins deal sounds too good to be true, it probably is. It’s very unlikely that with the spot price of gold nearing a $1,900 mark in September of 2011 for you to buy gold or silver coins very cheap. The most obvious danger you might be facing is acquiring a well manufactured fake. Especially beware of coin vendors located in China who are notorious for producing a variety of fake gold and silver coins. 2. False promise. This is one of the dangers of buying EBay gold coins from sellers who have limited to no buyers’ feedback. Such vendors are there to make a quick sale and disappear from the market with your money. Sometimes the vendors mean no harm, however, they can still misrepresent the coin’s actual value and its grade. 3. Undelivered goods. This is another very probably danger of buying cheap gold coins that the vendors are simply not going to deliver your order. If your gold is cheap, there’s definitely a reason for that. 4. Harder to sell. Certain cheap gold coins might be hard to sell once you decide to liquidate you gold investment portfolio or coin collection. Beware of buying some cheap gold coins because there’s almost always a catch that comes with a low price tag. 5. Buying coins in altered state. Some novice coin collectors try to foolishly perfect the grade of their coins by polishing them or altering them in any shape or form by adding holographic stickers, adding stampings or marks for various reasons. Having realized that they have virtually damaged the coin, they quickly try to sell them off much cheaper than their real value. 6. Poor grade. If you are just starting out in numismatics, it might be hard for you to know the real value of gold or silver coins and you might think you are getting a good deal on certain coins, however, you might still be overpaying for damaged or simply worthless coins in poor grade that should not be worth more than their scrap gold value. Buying only from well known dealers online will insure you will not run into the same problem again. 7. Legal consequences. Finally, you might be facing legal consequences of buying cheap gold coins from questionable sources or pawn shops in case these gold coins had been previously stolen. This could be easily prevented by acquiring your gold investment only from reputable and well known coin dealers.